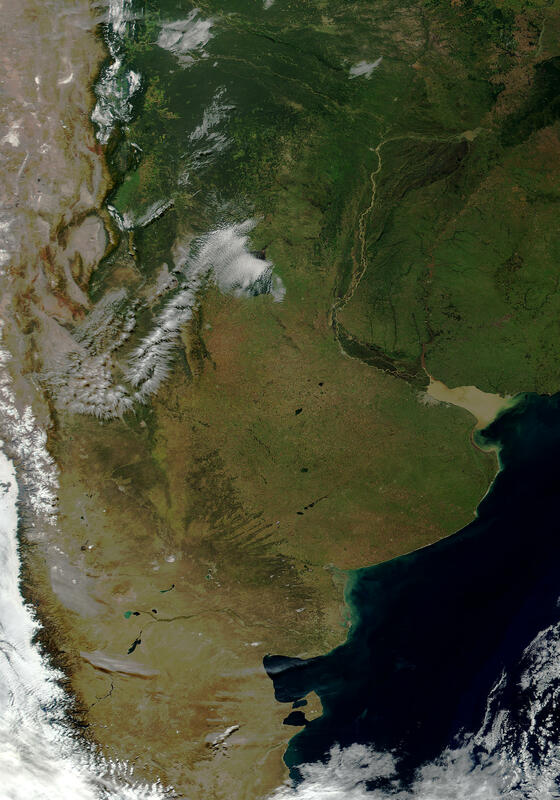 This Moderate-resolution Imaging Spectroradiometer (MODIS) image over Argentina was acquired on April 24, 2000, and was produced using a combination of the sensor's 250-m and 500-m resolution "true color" bands. This image was presented on June 13, 2000 as a gift to Argentinian President Fernando de la Rua by NASA Administrator Dan Goldin. Note the Parana River which runs due south from the top of the image before turning east to empty into the Atlantic Ocean. 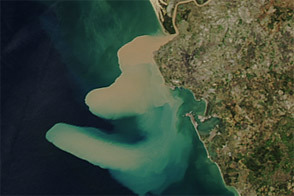 Note the yellowish sediment from the Parana River mixing with the redish sediment from the Uruguay River as it empties into the Rio de la Plata. 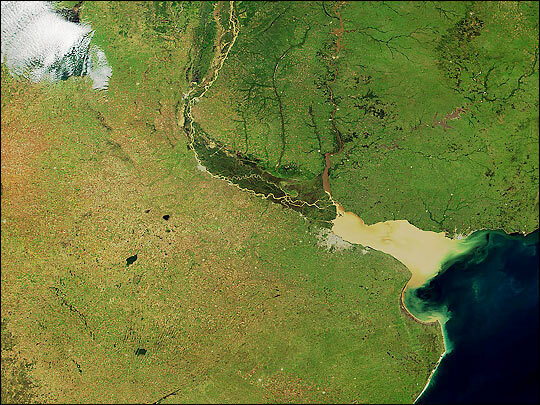 The water level of the Parana seems high, which could explain the high sediment discharge. 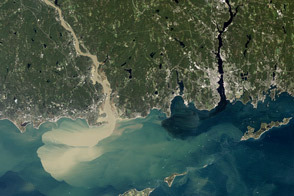 A variety of land surface features are visible in this image. To the north, the greenish pixels show forest regions, as well as characteristic clusters of rectangular patterns of agricultural fields. 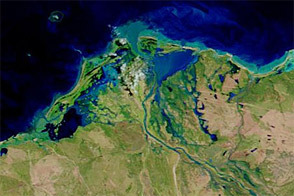 In the lower left of the image, the lighter green pixels show arable regions where there is grazing and farming.